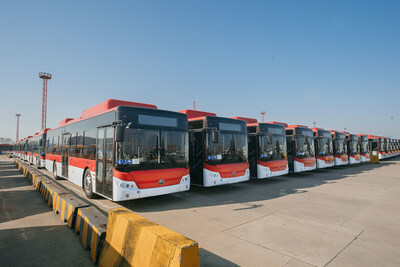 SHANGHAI, Nov. 23, 2018 /PRNewswire/ — Zhengzhou Yutong Bus Co., Ltd. (600066:CH) (Yutong Bus or “the Company”), a leading bus and coach supplier, has reached agreements to deliver 100 full electric buses to Chile. Having sent more than 20,000 vehicles to Latin America over the past 15 years, Yutong has become the leading Chinese bus supplier on the continent. E12 Electrical Bus, the model Yutong will deliver to Chile, is equipped with 324kWh power capacity and low energy consumption. The model comes with a 150kw DC charge, making it easier and faster for the vehicles to charge. It only takes 2 hours to fully charge the bus. Under the premise of continuing the vehicle operation, the buses can be charged at a lower price at night, reducing the cost of the client’s subsequent operation. “For 13 years we’ve been strengthening our presence in Chile, deploying the ‘Yutong Model’ of customized products, accessories, financing and comprehensive protection to serve different customers in different markets,” said Chang Hao, Yutong’s deputy general manager of overseas markets. Yutong has ranked as the No.1 Chinese bus exporter in Latin America in the past three years, with a total of 20,635 buses delivered to date, making up 54% of all Chinese exports in the sector, demonstrating the Company’s leading position on the continent. Zhengzhou Yutong Bus Co., Ltd. (Yutong Bus) is a modern manufacturing company specialized in the R&D, manufacturing and sales of buses. 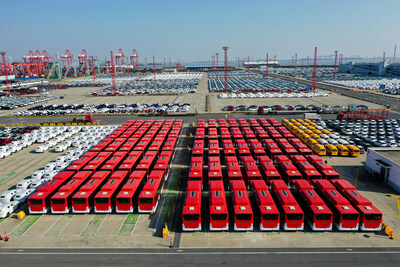 Its annual sales volume reaches 67,568 units, with over 100,000 new energy buses sold to date. Yutong Bus was the first listed company in China’s bus industry (Stock code: 600066), With a turnover of 33.2 billion yuan in 2017. Yutong Bus sells buses with sizable volume in over 30 countries across six continents with a market share of over 30% in China and over 15% globally. For more information, please visit http://www.yutong.com.